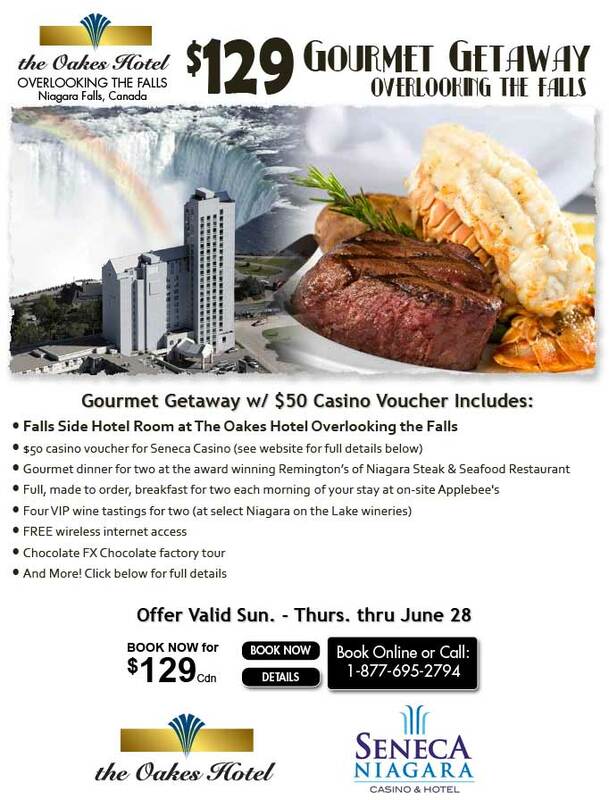 Last week I received a newsletter from Niagara Hospitality Hotels, the operator of the The Oakes Hotel Overlooking the Falls. To subscribe to the newsletter, click on the Email Deals link on the main page of their site. Earlier this week I received a newsletter from Niagara Hospitality Hotels, the operator of the The Oakes Hotel Overlooking the Falls. It seems to be the same offer they have had at least twice before. 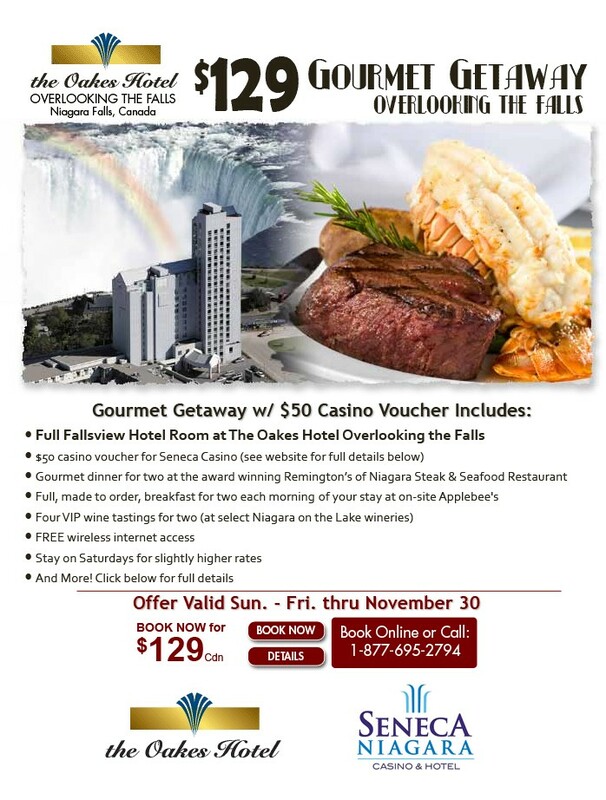 Earlier this week I received a newsletter from Niagara Hospitality Hotels, the operator of the The Oakes Hotel Overlooking the Falls. 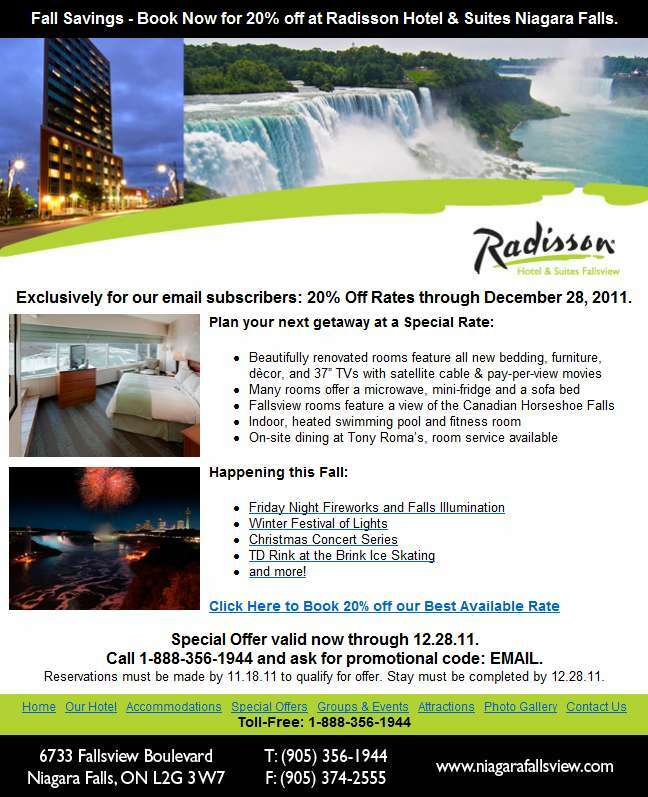 Last week I received the latest email newsletter from the Radisson Hotel & Suites Fallsview. It’s a repeat of the last one they sent out. You can sign up for their newsletter on their web site. 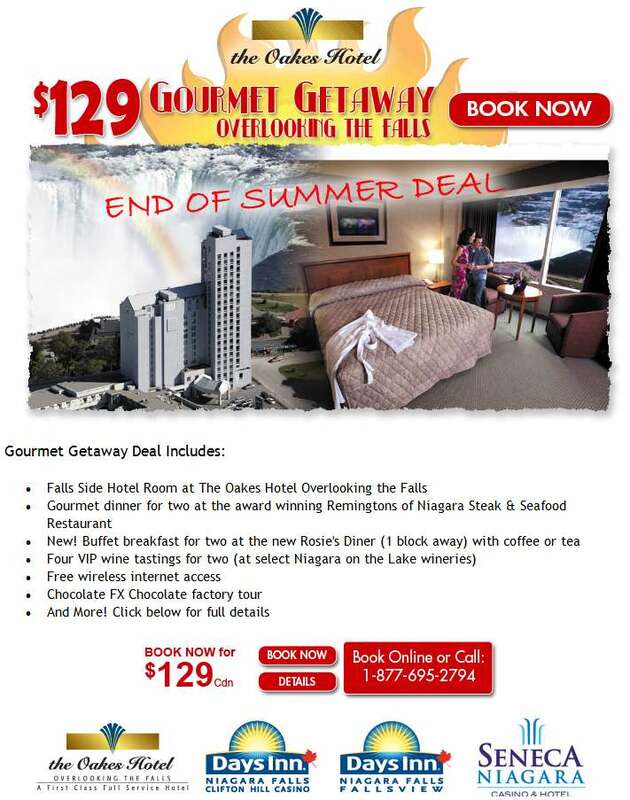 Earlier this month I received a newsletter from Niagara Hospitality Hotels, the operator of the The Oakes Hotel Overlooking the Falls. 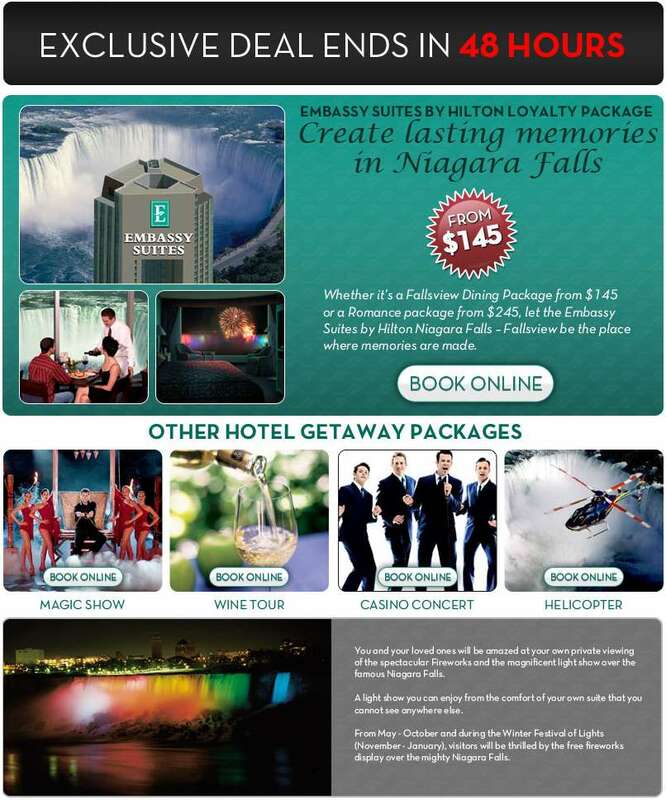 Yesterday I received the latest email newsletter from the Embassy Suites by Hilton Niagara Falls – Fallsview. The topic seems a little early, but a couple of weeks ago I received the latest email newsletter from the Embassy Suites by Hilton Niagara Falls – Fallsview.